Gradually exposing people to the thing they fear, say a spider, in a controlled environment has long been the mainstay of treating phobias. But with exposure therapy you don’t have to have a spider physically present in the room for you to feel the benefits. Psychologists and researchers are using virtual reality to help people face their fears. Psychologists originally proposed exposure therapy, also known as systematic desensitisation, in the 1950s as a way of treating specific phobias. The idea is that if you are presented with the phobic stimulus (for example, spiders or heights) repeatedly, but safely, then your fear reduces over time. In the case of a spider phobia (arachnophobia), exposure therapy may start with the spider in a cage or container so it cannot physically harm you. What happens during exposure therapy? Exposure therapy has three main elements. First, you identify the situations or objects that make you feel afraid or anxious, or situations you avoid because of the phobia. You then rank them according to which ones provoke the most fear. This part of the therapy is known as constructing a fear hierarchy. Try following this progressive muscle relaxation exercise. Finally, the therapist gradually shows you items on your fear list, while you practise your relaxation techniques. You start with the least fear-provoking item until you feel you can manage your fear, before being ready to move sequentially on to more fear-provoking ones. In the case of a spider phobia, this could mean progressing from looking at an image, to a spider in a container far away, to having one sit in your hand. Exposure therapy with virtual reality is the same, except instead of being directly exposed to the items on your fear hierarchy, you experience them through a headset. Why use virtual reality exposure therapy? Real-life exposure therapy has long been considered the most effective form of treatment for phobias. Yet, despite strong evidence exposure therapy works, about one third of people with a specific phobia don’t seek treatment, or if they do, they avoid exposure therapy. The idea of facing their phobias is just too distressing. Because they avoid the things they fear, there is no experience of safe exposure and, in turn, no decrease in their fear, so unfortunately phobias often persist. But people tend to be more willing to take part in virtual reality exposure therapy than in the real-life kind. Researchers found that people prefer it mainly because confronting the phobia in real life is too fearsome. So, virtual reality exposure therapy is a promising alternative, especially for people who find exposing themselves to their fear in real life is too difficult or stressful. Since its introduction in the 1990s, virtual reality exposure therapy has been effective in treating a variety of phobias. These include acrophobia (fear of heights), aviophobia (fear of flying), claustrophobia (fear of confined spaces) and arachnophobia (fear of spiders). Virtual reality exposure is just as effective as traditional forms of exposure therapy when assessed immediately after treatment, a year later and even up to three years after treatment. 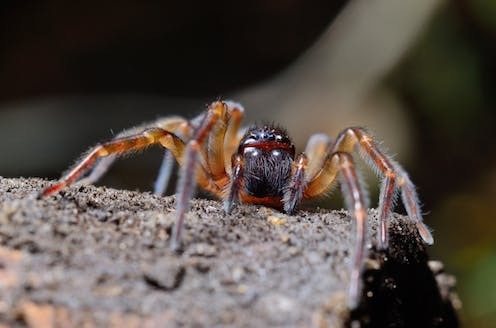 For example, people who seek treatment for a spider phobia are less likely to avoid spiders, and less likely to feel anxious when they see spiders after virtual reality exposure therapy. Another advantage is that psychologists can provide their clients with a range of experiences (phobic stimuli), which can be difficult to achieve in the real world. Consider how time-consuming it can be to provide real-life exposure therapy for someone with a fear of flying. Additionally, virtual reality allows the psychologist to control the types of experiences clients have as they face items on their fear hierarchy. Patients can also be assured of their safety and confidentiality, as the therapy is conducted in their psychologist’s office. Although research shows that virtual reality exposure therapy is effective, there are concerns about its cost, accessibility and quality. However, its quality continues to improve, as does its cost. There are now clinics (such as this one in Sydney) that specialise in treating specific phobias this way. If this article has raised concerns for you or someone you know, please contact beyondblue for more information about phobias and how to treat them.